In 1888 Jack the Ripper made the headlines with a series of horrific murders that remain unsolved to this day. But most killers are not shadowy figures stalking the streets with a lust for blood. Many are ordinary citizens driven to the ultimate crime by circumstance, a fit of anger or a desire for revenge. Their crimes, overshadowed by the few, sensational cases, are ignored, forgotten or written off. 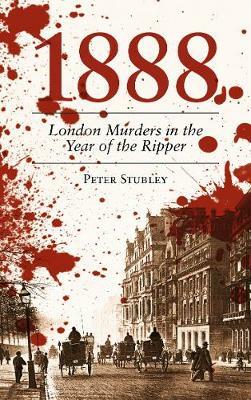 This book examines all the known murders in London in 1888 to build a picture of society. Who were the victims? How did they live, and how did they die? Why did a husband batter his wife to death after she failed to get him a cup of tea? How many died under the wheels of a horse-driven cab? Just how dangerous was London in 1888?